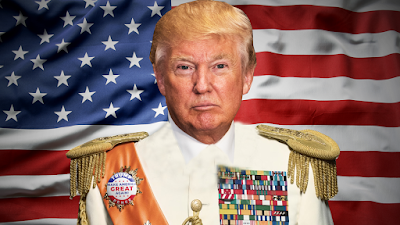 In two short years our grifter-in-charge has modified the means to be a successful dictator in the 21st century. Trump started off with the standard demonizing of the "other," creating crisis situations to entrench power, and using cruelty to spread fear. But Trump's biggest achievement was to show dictators how to create an alternate universe. The pillar for this tactic was using the power of the lie. Coming from such an accomplished world-class liar, the strategy makes sense in a twisted way. He's still in office despite setting a record of an average of 22 lies daily. With over 9,000 documented lies since he slithered into the Oval office, Trump is setting a new standard for dictators worldwide. Dictators have always lied, that's just stock in trade. But Trump's taken lies to a new level, saturating our government, social media, and the press. The result being chaos, which is music to any dictator. In one sign that Trump's influence has already made a difference, the fake news fable is now fashionable among dictators worldwide. With two years left, who knows what other updates Don the Con will add to the dictator's guide to controlling the masses?